The first season of Marble Hornets ran from June 20, 2009 to April 19, 2010 and is comprised of the videos “Introduction” through “Entry #26”. The creator of the Marble Hornets YouTube channel and Twitter only meant to find answers about his friend’s disappearance when his examination of abandoned tapes left him trapped in the same cycle of paranoia surrounding an otherworldly entity and the mysterious third party responding to his videos. In these early stages, players on UnFiction interacted with the Marble Hornets and totheark channels and shared their responses, restored here for their early insights on the mystery. Descriptions on this wiki contain spoilers. 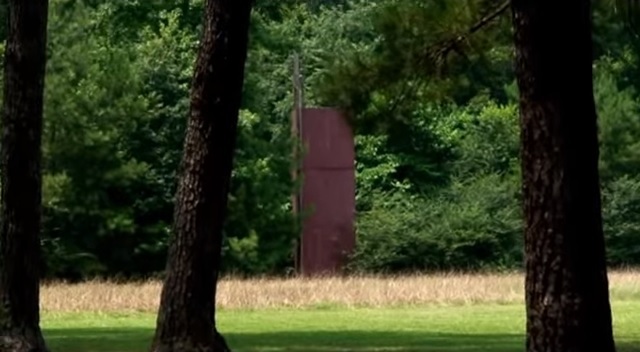 “Entry” videos come from Marble Hornets, whereas videos with one-word titles come from totheark. On June 18, 2009, the Marble Hornets Preamble is posted by user “ce gars” on Something Awful. Marble Hornets was an unfinished student film by Alex Kralie in the summer of 2006. Having become increasingly irritable while filming, Alex intended to burn its many tapes until his friend, the channel’s narrator, asked to keep them. Believing the tapes’ contents could explain Alex’s strange behavior and subsequent disappearance from his life, he will use the channel to analyze any unusual events within them. Minutiae: Posted June 20, 2009. 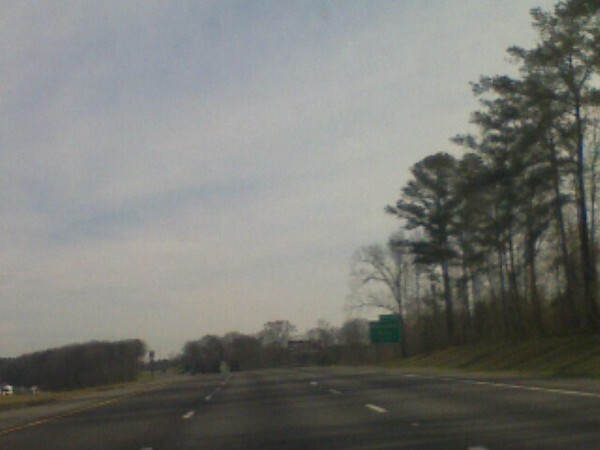 The footage excerpts were taken from a highway, and their audio is white noise. 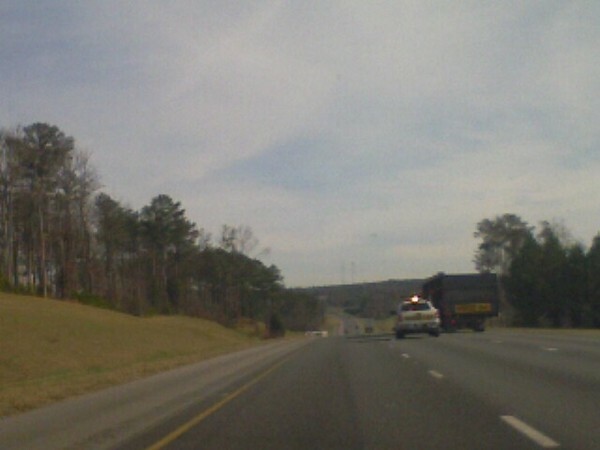 Although not stated, the events are presumed to take place in Alabama. A clip with no audio shows a suited man with no visible face standing outside of Alex’s window. Minutiae: Posted June 20, 2009. According to the text narration, the audio was either disabled at the time or purposefully removed later. The figure shown in this video is known as the Operator. 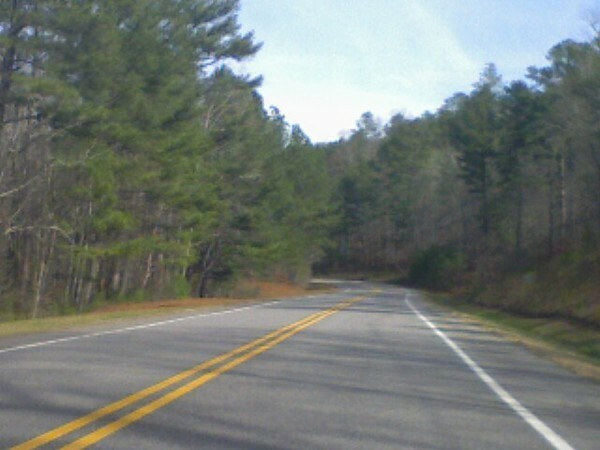 Alex describes an encounter with a man standing in the middle of the road under a streetlight that he attempts to find while driving. It had left his dog, Rocky, still in fear. Minutiae: Posted June 21, 2009. The description reads “first encounter?” Rocky is never mentioned again. Due to interest in the youtube channel, set up a twitter account. Updates posted here. Been looking at tapes all day. Nothing interesting so I'm calling it a night. More tapes, more of the same. Just realized I haven't eaten all day. Taking a much needed break. Exhausted from compiling entry #3. Posting it tomorrow. Tons of tapes. It would take a while to count them properly, which isn't really time I have. If I had to guess, I'd say upwards of a hundred. Alex shoved them all in plastic bags so they're not filed in a way that would make them easy to count. If I remember correctly, Marble Hornets was about the main character coming back to his hometown and recalling events from his childhood. Alex was big into those kinds of movies. Pretentious film student stuff. I was on the set a few times, maybe three or so. He had given me a script but I can't find it now. But I do know that a good bit of filming took place around his house, which is in a heavily wooded area. He had lost a lot of weight the last time I saw him. He looked sickly, and was very short with me. Pretty unlike him at the time. Alex’s less eventful footage includes shots of him looking out the window into the trees, apparently feeling a compulsion to film his every move. Minutiae: Posted June 23, 2009. A brief visual tear occurs at the beginning. I have to stop watching these tapes for today. Thinking I'll go outside. Nothing new to report today. Went through a good number of tapes, but they revealed nothing. Found something. Will post it tomorrow. For now I need some sleep. Alex chases the Operator through an abandoned playground at night after watching the equipment move on its own. Minutiae: Posted June 25, 2009. The Operator’s influence on the playground equipment coincides with more visual tearing. Nothing today. I'll keep looking. Thank you for your interest in helping. For security reasons, I've decided not to disclose the exact locations of filming yet. However, in response to your other question, I don't recall hearing of any escaped felons when this took place. Found something new. Will be posting it later today. Have not forgotten. Entry #5 will be up shortly. I don't like watching it. J and Alex walk through a wooded park with a gazebo, the audio distorting heavily as they talk. In the present, J has noticed similar glitches in previous videos. Minutiae: Posted June 29, 2009. At one point, J focuses the camera on a red tower off in the distance, which Alex says must have been a climbing wall or part of a fire department. Not seeing any more tearing or distortion. At least I know what to look for now. Alex runs through his house at night as the Operator appears twice more: first through a window to the outside, then through a window to the inside. Minutiae: Posted July 4, 2009. The audio is still missing. Alex films a scene for Marble Hornets in his car with Brian, the lead actor. The Operator can be seen when Brian reclines his head, which causes Alex to abruptly end the take and start the car. Minutiae: Posted July 7, 2009. The description reads “Patterns emerging.” Occasional video glitches continue, and Alex alludes to a girl in the scene off-camera. Alex rapidly draws on paper with charcoal, standing up at the end as the audio cuts out. Minutiae: Posted July 12, 2009. The description reads “Short entry. Doesn't seem like Alex.” Alex's drawings read “SEES”, “SEES ME”, “FINDS ME”, “SPEAKS TO ME”, “TREE”, and “LIVES IN THESE PINES”. They portray trees, a stick figure, and a crossed-out circle. Alex films a scene for Marble Hornets in the gazebo with actors Tim and Sarah and cameraman Seth. He expresses annoyance at their acting and at Seth for turning off the camera. Minutiae: Posted July 19, 2009. Children can be heard off-camera at the beginning, but not after the camera is turned on again. A video response to “Entry #9” by newly-created YouTube channel totheark, which will continue to post videos in response to the last Entry before them. It shows columns of slash marks with distorted audio. Minutiae: Posted July 22, 2009. The description reads “////////”. “LOOK” comes from corresponding the number of slash marks in each frame to a letter of the alphabet, a hint about the importance of hidden messages in later videos. Very strange video response to Entry #9 from "totheark". Not sure what it's trying to say. Feeling better now. Back to the tapes. Alex runs through the woods in the dark with a flashlight, the Operator following him at every turn. Minutiae: Posted July 28, 2009. The description reads “More missing audio.” Again, the Operator moves abnormally fast as if by teleportation. The ambient noise accompanying these words sounds like someone running through the woods. Minutiae: Posted July 31, 2009. The description reads “\\\yes\\\”. The capitalized letters spell “LISTEN”, an anagram for “SILENT”. Another response from "totheark" with entry 10. Agreeing with others. The video response "operator" sounds like some of the missing audio. Maybe from entry 10? Moving soon. Need to take my mind off the tapes for a day or two. 'bout how many videos are there? that might be able to help. Also, have *you* seen the slender man from the videos lately, I sure hope not. Thank you for your concern. I am alright. I have not seen anything resembling the figure that I've been seeing at times in the tapes, no. I will keep everyone posted. So………..you are posting videos of sound that may be from the "Entry videos" posted by Marble Hornets. I was wondering if that was the last of those videos…..cause it really seems like something is following you. 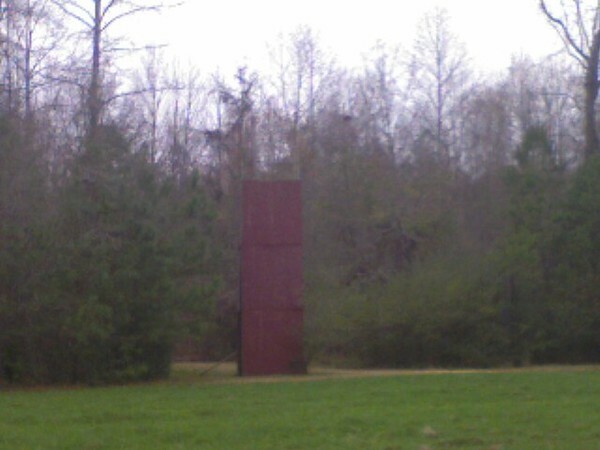 I think it may be this Slender man thing, but I really do not know what it is. I would be very grateful to get a response from you. Thanks. No. There are many more tapes to go. What do you want us to LISTEN? Will be without internet access until the 10th once I'm completely moved in. If I see anything new, I will find a way to upload it. Hey, I was wondering since you seem to be a pretty nice person with answers, I was wondering if you could tell me another thing. You seem to have audio for something. You are showing videos of audio that seem to fit with the videos. If you have the audio, you must have been the one taking them from the videos, No? 1. Is Regards sound entry No. 4 soundtrack? 2. or is it Entry No. 1 soundtrack? 3. Is Operator sound entry No. 10 soundtrack? 4. What is the meaning of your name and age? Alex gets out of his bed beside a wall of charcoal drawings, passing the Operator in the corner of the room as he gets up to check the blinds. When he gets back into bed, a shadow moving over the papers causes them to rustle. Minutiae: Posted August 9, 2009. The description reads “Alex missed something.” The drawings still portray the Operator, trees, and the crossed-out circle, now reading “OPERATOR”, “KILLS ME”, “SEES ME”, “DON'T RUN”, and “RUN AWAY”. A pair of fluorescent lights (\\) flicker to the sound of a repeating voice that, when reversed, says “Alex”. Minutiae: Posted August 11, 2009. The description reads “///”. Starting with this video’s title, water is a recurring theme in totheark’s videos in keeping with the reference to the Biblical flood. totheark has responded again. It's getting kind of unnerving. what was the plot of Alex's movie project? What was it about? I would love to see some more footage of it, even if it's not a part of the Entries which you are uploading. A little over three years ago, when Alex was beginning work on his film Marble Hornets, he gave me a full script and I was able to read through it. Frankly, it was a pretty run-of-the-mill drama about a guy (Brian) returning to his hometown after abruptly leaving and reuniting with all of his old friends and finding out what became of all of them in the time he had been gone. The raw footage (without any abnormalities) is relatively unspectacular and would do little more than bore you. Thank you again for the encouragement and help. Still out here. Still searching through the tapes. Thank you for the interest. As far as I know, Alex took his dog with him when he left for where ever he is now. Currently, I'm looking for any kind of blog or twitter account that Alex would have had. No luck so far. I have been losing track of time often. I'm guessing it's due to the amount of time I've been taking for looking through the tapes. Been sick for the past week. Still looking for entry 12. Alex talks to Brian about filming as they walk through a park, the audio and visual distortion increasing as Alex spots the Operator and approaches it. Minutiae: Posted August 29, 2009. Alex's reaction implies that this is one of his earliest encounters with the Operator. The camerawoman is unidentified, but presumed to be Sarah. Waiting to see if totheark does anything. Hello Dav. I have been asked this question numerous times already even though entry 12 has only been up for a few hours now. I should have made it more clear within the entry, I apologize. Anyway, yes, what happens after that clip is VERY important. Unfortunately, the girl operating the camera at the time stopped recording as Alex walked on screen. There was a little bit of time left on the tape (around 4 or 5 minutes) after this clip, but it's blank. I'm not sure if Alex changed tapes early or not, because I have yet to find another tape that "matches" with this clip. It's frustrating to say the least. Thank you for the question, I will continue searching. No, there were no timestamps on the tapes. "first encounter" on Entry #2 is simply my own personal speculation and not necessarily fact. I don't know the order of events right now. That's what I'm trying to determine. Footage of treetops during a thunderstorm and columns of zeroes with a high frequency tone. Minutiae: Posted September 1, 2009. The description reads “000000000”. Counting the zeroes leads to the number set “26 5 18 15”: “z e r o”. “There was more” references J's statement that there was more to “Entry #12” than was shown, and zeroes themselves reference the Operator button on a phone. The latest tape has me in it, watching it very carefully. Alex sends J to get something from Alex’s car and walks from the woods to a building where he spots the crossed-out circle carved into the pavement. After passing by an old fountain, he encounters the Operator again. Minutiae: Posted September 10, 2009. The description reads “I was close by”. This is the first time J’s face is seen on camera. For those asking, I did go to the doctor the other day. Couldn't find anything wrong with me. Someone had filmed J from the bushes when he went to Alex’s car that day. Minutiae: Posted September 15, 2009. The description reads “remember me”. The words at the beginning are an anagram for “OPERATOR”. very unnerved by totheark's response. It was ~3 years ago, so my memory of entry 13 is a little fuzzy. Though I do remember going to get a battery out of Alex's car. Definitely never noticed anyone filming me do so. I apologize for not answering your message sooner. I tend to let them build up over a few days before answering all the meaningful ones en masse. As for the name Marble Hornets, I'm not sure of its meaning within Alex's film. From what I remember of reading the script ~3 years ago, a little sculpture of a marble hornet came into play at some important part of the movie. I think it was drawn from Alex's experience, since when he lived with his parents, they had a bunch of little sculptures laying around, decorating their house. I don't think anyone else noticed this since it seems in the actual Youtube video, it doesn't flash on screen. Wow. Very good find. Thank you. That's strange how it was cut off on the youtube video. Now all we have to do is figure out what tthe aark could possibly be. Could not sleep at all last night. Shaking. Thinking of going back to the doctor again. Getting back to the tapes. The Operator enters Alex’s room when the lights are out. Alex briefly turns them on again to investigate, and the camera stays pointed at the door for 32 minutes until it cuts to another shot of Alex, glasses removed and blood running down his face. Getting the same question a lot. Nothing of interest happened in the 32 minutes. Just the camera pointed at the door. Since J is a human, he cannot be trusted, correct? Footage outside of a house in the rain set to the sound of a film projector. Minutiae: Posted September 26, 2009. The description reads “000”. Using a cipher key from the next video, the code of zeroes decodes to “END OF MEDIUM/START OF HEADER/CARRIAGE RETURN/END OF HEADER”1. The “S” symbol represents either Sigma or Stigmata. LAWLandMine (6:35:26 PM): Have you been well or are you still feeling sick? LAWLandMine (6:37:22 PM): What do you make of the thing that attacked your friend Alex? LAWLandMine (6:37:33 PM): What the hell was that thing? Looks like a human but….different. J (6:38:07 PM): At this point, I'm not discussing my speculation with people I don't know personally. LAWLandMine (6:39:09 PM): I sent you a message on Something Awful but to sum it up, I think you should start recording some of your life. If the reason you are feeling sick is because of this thing, it might be nice to have some footage to compare to what happened to Alex. LAWLandMine (6:39:46 PM): Whatever it is shows up in most of Alex's videos, so it might start doing the same in yours. Getting swarmed. If you want to contact me, please do not do so through AIM. Not sure. It's not something people bring up very often. Managed to arrange a meeting with one of the MH actors tomorrow. The actor that you said you're meeting with tomorrow, is he in any of the entries you've posted? Yes, it's Tim from entry #9. J interviews Tim at a school, and he recalls little information about Alex or a man in a suit due to mostly being involved in the project through his and Alex’s mutual friend Brian. I don't know if anyone's asked you this yet, but, regarding Tim in Entry 15: You say the only way you could convince him to meet up with you when you told him you were interested in the completion of the Marble Hornets video. 1. Does this mean you previously contacted him? - If so, why did he turn down your original advances, and what were they? 2. Are you still ill? You seem to be coughing a bit. 3. Did you notice ANYONE out-of-place while you were visiting whatever facility this was shot in? Some people claim to see glimpses of a man in a suit in the reflection of the door in the beginning of the video. 4. Did Tim know he was being video taped? 1. Yes, I contacted him. But he didn't see the reason in meeting face to face unless it was important, which is why I told him about screen testing. 2. Feeling a little better, but still not 100%. 3. No, I did not. 4. He probably figured I was when I first walked up to him (since I was pointing the camera at him), but after that I'm fairly sure he thought I had stopped recording. Still around. Still looking for some kind of lead. This footage of Brian was taken in Alex’s car at the same time as “Entry #7”, but separately. Minutiae: Posted October 12, 2009. The description reads “00110111”, which translates in ASCII to “7” (as in, “Entry #7”). The symbol from “Program” returns, and the columns of zeroes on Brian’s face in the video represent a countdown from ten. After dark, J follows this new tip to a house that is out of power when he enters through the back, its floor covered in ripped newspapers and upended furniture. He suddenly collapses into a coughing fit after a few minutes of searching and finds a small trail of dried blood on the floor leading to more of it in the bathroom sink. J leaves with two of Alex's drawings, a bottle of pills, and a bullet casing. Minutiae: Posted October 16, 2009. The word “BONE” can be seen written on one of the walls. There is a visual tear as J examines an out-of-place bottle of water, after which point he begins coughing. Anonymous tipper totheark had filmed J from behind a wall during his coughing fit. Minutiae: Posted October 21, 2009. The description reads “//eyes\\”. The audio is a distorted version of J calling out "Alex? Brian?" in “Entry #16”. Been out of it all week. Trying to look through more videos. Found something very disturbing for me in the tapes today. Posting it to youtube as soon as I can. J and Alex help Tim rehearse his lines while J claims to feel cold inside the building. The Operator can be seen outside the window, and the video is cut off by distortion at the end; J remembers none of this. Minutiae: Posted November 2, 2009. The description reads “I'm not sure of what to do anymore.” In the present, J plans to return to the house. Going to try and get some sleep now. But I doubt that will happen after all I've seen today. Stereoscopic footage of “Silent Snow, Secret Snow”, the obscure 1966 film adaptation of a short story about a boy who distances himself from reality by daydreaming about snow. Minutiae: Posted November 4, 2009. The description reads “again”. At the end: “COME BACK/find me”. Starting to reconsider going back to that house. The general consensus is that I should go back to the house. So I'm trying to work out a day to go. Another doctor appointment soon. 1. Alright, so, obviously, someone video taped you while you were coughing. Did you fall down BECAUSE you were coughing, or did you trip over something? 2. And, correct me if I'm wrong, but are there two staircases in that house? 3. Does anything interesting come from the bottle of pills you grabbed? Anything on the label? Perhaps any words or numbers printed onto the pills themselves? Every little bit is important. 1. It was a bad coughing fit. 3. I will probably make a video soon detailing the answers. Re: Brian, Where was he? Brian was not there when Alex and I were location scouting. It was only me and him. Going back to the house tomorrow. Just got back. Going to try and get some sleep then I'll put the video on youtube. J returns to the house on another night. After examining a long-limbed white cloth doll on the floor, he turns around to see a masked man waiting on the couch. The man attacks and J drops his camera, picking it up again after the masked man starts to have a seizure. J is unable to remove the mask and flees with a coughing fit, waking up inside his car among the trees with no memory of the last few moments of the attack. Minutiae: Posted November 10, 2009. J has lost the knife he had brought with him and recognizes that his videos experience distortion for the same reason as Alex’s had. Some understandable confusion going on about #18, I'll try and set a few things straight if memory serves (which I can't help but think is a gamble at this point). -Whoever was in the mask attacked me. He pushed me against the door that was locked behind me and pulled me down on the floor. I don't remember much of what he did after that, I was in a daze because I had hit my head on the floor. -After he had what looked like some kind of seizure, I tried to take his mask off. He pushed me off surprisingly hard and I stumbled backwards and fell. -The knife I had with me was still in my pocket when I headed for the back door. Then it wasn't when I woke up in my car. I'm still feeling very sore from it all. My head is killing me. totheark usually responds by now. This past week has been bad. Stock footage of the December 7, 1941 sinking of the USS Arizona at Pearl Harbor. Minutiae: Posted November 21, 2009. The description reads “.”.The end of the video shows Tim's face layered over the image. I have Entry #19. It should be on youtube tomorrow unless something happens. Which it could. I don't really know anymore. Footage taken two days after “Entry #18” shows the masked man appearing in J’s room with no indication of how he entered, looming over J’s bed as he sleeps. They both disappear after heavy visual tearing, and J returns in three hours with no memory of leaving. Minutiae: Posted November 25, 2009. The mask is visible through the blinds at the beginning. J suspects that the masked man is totheark and plans to leave his apartment now that he has stayed inside with all doors and windows locked. Also, for some reason I keep getting asked my real name. It's Jay. You've all been right from the beginning. Not sure, but I doubt it. At some point during the three hours Jay went missing, he sat in the doorway of the abandoned house with dark circles under his eyes as the Operator approached. Minutiae: Posted December 2, 2009. The description reads “91”, mirror of the previous Entry’s number. It's getting so much more difficult to take all this in. Feel like I'm being driven insane. Looks like J lives in a college dorm, not a house. Unless your house has interior white brick walls like that. No it's not. My apartment is just really cheap looking. The response has to be during entry 19. I wasn't wearing those clothes the last time I was at the house. No, that was the first time I was at the house when totheark made that response. All of my memories are getting completely mixed up now. Still haven't left the house. Running out of tapes to look through. Found something. So tired though. The pill bottle label, pills, and bullet casing have gone missing. Alex’s drawings read “Forget what I See” and “SEES ME”, the latter including the crossed-out circle symbol that Jay recognizes from previous Entries. Behind the Operator symbol are the words “At the tower”. Minutiae: Posted December 9, 2009. The description reads “Trying to make connections”. Jay suspects that the masked man may have stolen from him. He plans to investigate the remaining tapes. A lot of people are thinking "the tower" could be the red tower both Alex and I saw during Entry #5. That's the most solid lead so far. I think I remember where the tower is located. Going to try and find it on a satellite map soon. I've decided to go to that red tower. In the daytime, of course. Not sure when, though. I'm running out of food here. Found what may be the last of the clips from the tapes. Will post Entry #20 later today. Jay and Alex wait for Tim at Brian’s house. Tim arrives after heavy distortion occurs in the video, taking pills after starting to cough and complaining about how cold it is inside. Minutiae: Posted December 15, 2009. Brian, who was noticeably absent in this Entry, owned a painting of a forest fire. Jay notes that Tim’s pill bottle resembles the one he found at the house and announces his intention to visit the red tower. It's very difficult to tell who's operating the camera in #20. Alex would probably make do with whoever he had, so it could be anyone. It's not my car. I drive a silver Mazda hatchback. Good eye though. Minutiae: Posted December 16, 2009. The description reads “s”. The audio is Morse code for “OPERATOR”, and the first letter of each word creates “precedes trees”, an anagram for “deeper secrets”. Most have probably already noticed, but totheark responds. Going to the red tower asap. Badgerconda: be careful at the tower, Jay! Badgerconda: you're not going tonight, are you? you said you were going to be sane and go during the day this time. Badgerconda: a few days. you're such a tease for all your adoring fans. Caused some confusion with the last update. Not going to the red tower NOW. Probably in a couple of days. Going to the red tower tomorrow. Kind of strange seeing other people. 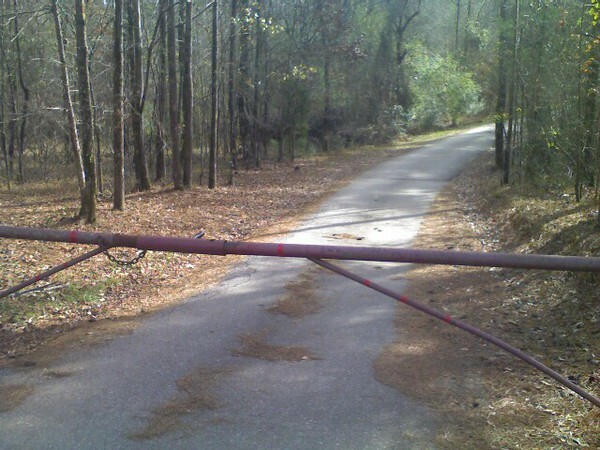 Road to the trail is fenced off. Guess I'm walking. 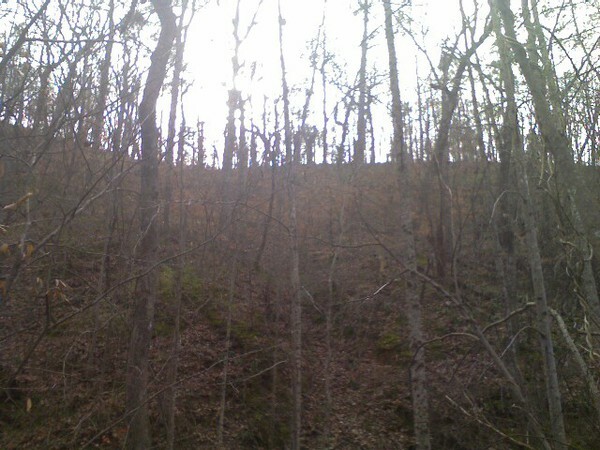 At the beginning of the trail. Getting my camera ready. Cell phone camera is getting interference. Video camera is alright for now. Phone signal almost gone. Have to cross a small creek and I'm at the tower. Filming when I get across. Walking back to my car. Getting dark fast. Have a good signal again. Almost back to my car I think. Back to the car. Couldn't remember the way back for a moment. Will be posting Entry #21 tonight. Jay walks through the woods to the red tower, an Operator symbol carved on the outside and old boards and caution tape lying inside. He climbs inside the tower and retrieves a silver case before abruptly falling at the same time as the video distorts; when it clears and he gets up, he finds a tape inside the case. Minutiae: Posted December 21, 2009. The description reads “1 of 2”. Before Jay reaches the tower, he points the camera at a hole in the ground that briefly causes the audio to distort. Something important has to be on this tape. I just have the feeling I won't like it. Just noticed the "jBdzj!zö&&+555n?21" update. It originally said "found something". No idea what happened to it. The footage on this tape is too much for me right now. I have to go to bed. I'll be posting the tape, in its entirety, later tonight. Don't want to upload the footage. But it needs to be somewhere in case something happens to the tape. Or me. Alex leads Seth through an abandoned boiler room until they discover dried blood on the walls and hear a scream off in the distance. Seth drops the camera during a heavy burst of distortion, and the following static shows a face with large eye sockets and a frown. Alex films himself one last time to state his intention of leaving and burning the tapes now that everyone is “gone”. Minutiae: Posted December 22, 2009. A shadow passes over Alex’s face while he is speaking alongside the sound of a door creaking open and the screen growing darker. [19:43] MrBigShot_23: whast the next step? [19:46] MrBigShot_23: oh well, whatever you do, best of luck. keep safe. [19:46] MrBigShot_23: in the tapes? [19:47] MrBigShot_23: oh you're still searching in the new tapes. found anything of interest? [19:47] MrBigShot_23: i dont completely understand why alex said that you were "gone". [19:48] MrBigShot_23: but are you confident that tape is from 3 years ago when he was filming, or could it be recently made? Quick reminder to please refrain from contacting me via AIM. It's too hectic. Trying to keep everyone as updated as I can with twitter. Still waiting to see if totheark does anything. Not sure why totheark has been so quiet. I may be on my own for a while. Beginning to think the only choice I have is going back to the house. Stock footage of bicycles from the 1915 Panama-Pacific International Exposition and then of a sailor contemplating throwing something away. The Operator symbol from the red tower appears at the end. Minutiae: Posted January 10, 2010. The description reads “.”. The gibberish text is an anagram for “awaiting your arrival”. I don't like the fact that it says "us" in the video. Grainy red-and-yellow footage of the Operator moving past a blinded window, distorting as a door slams. Minutiae: Posted January 15, 2010. The description reads “+”. The blinds on the windows imply that the footage was taken inside the abandoned house. Have been trying to sleep for a while. No luck. Returning to the house yet again seems to be the only option. Going in the daytime no matter what. Beginning to lose track of days now. Decided to return to the house Wednesday. Trying to get the footage off the camera. Entry #23 later tonight I hope. Head feels liquefied. Jay returns to the house in the daytime, finding the Operator doll on the steps again and the bathroom sink now free of blood. He spots the masked man and chases after him only to find himself in a room with an upturned mattress, an Operator symbol on a whiteboard, and a bottle of pills. From this point onward, the interior of the house has abruptly gone dark as if nighttime outside and Jay exits the doors into parts of the house other than where he had entered. After finding the mask hanging on the wall, Jay ends up in the boiler room seen in “Entry #22”. An encounter with the Operator leaves the camera broken and Jay unable to remember any of what happened afterwards. Minutiae: Posted January 28, 2009. Low-pitched laughter can be heard at the end of a heavy burst of distortion in the boiler room, and there is a low-pitched echo after Jay calls “Hello?” Even though Jay has other cameras, he intends to quit his search for Alex. I have felt completely functionless since quitting. Black-and-white clips of a drawing mannequin, the masked man, Operator symbols drawn on paper, and words written in the eyes of the mask. Minutiae: Posted February 3, 2010. The description reads “failure nigh”. 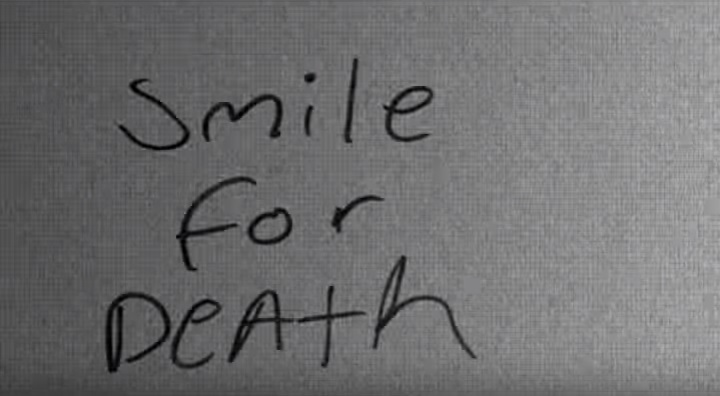 The very end of the video shows the words “Smile for DeAth”. Are you all done with him, yet? Doors were opened and things that were needed to be seen, were. Is that enough, or did everything go terribly wrong? I know that totheark responded. I just don't want to acknowledge it anymore. Considering boarding up my windows. Still feeling incredibly unsafe here. Looking through some surveillance footage. Not sure what I'll find. I feel like I just have know one more time what's been going on. Typo earlier. Still looking through the footage. Jay leaves his room without remembering it yet again, despite footage from the room outside his door never showing it open at the time he exits. He returns to his room two hours later, again only appearing in the footage inside his room. Minutiae: Posted February 16, 2010. Before this event, the screen becomes heavily pixelated for a few seconds. Checked the latest surveillance footage again last night. Nothing unusual. Maybe Entry #24 was a camera glitch? This video appears on the Marble Hornets channel, presumably uploaded by totheark. A distorted voice speaks the above warning over black-and-white clips of the masked man and a flickering Operator symbol. Minutiae: Posted March 5, 2010. The description reads “____”. I did not post Entry ######. Not sure what to think about it. Definitely considering getting out of here though. Left town after the last tweet. Staying at a hotel now. Something brought to my attention. Entry #25 later tonight. The news report Jay films as it plays on his television describes a fire breaking out in a local apartment, which Jay then confirms was his own. Minutiae: Posted March 24, 2010. The description reads “Names and locations have been removed.” The home video portion of the news report contains a visual tear as it focuses on the fire. Note: The report itself seemed to have some sort of technical difficulties at the end. Unsure what caused it. Don't want to think about it. Received this text message from an unknown number. If that text message I received a couple of weeks ago was a date, it's today. Changed my location since then. Feeling more paranoid. The maid knocked on my door earlier and I almost had a heart attack. I think I'm going to leave again soon, just to be safe. Entry #26 will be posted later tonight. Jay had previously filmed an announcement that he would stop posting new Entries now that he feels somewhat safer, but held off posting it because the “41810” text message turned out to be the date where he received a package outside his hotel door. The tape it contains shows footage of Alex’s girlfriend Amy asking him about a camera she found in the closet. He speaks calmly but keeps telling her to leave it alone; when the Operator appears in the doorway, Amy panics while Alex instructs her to escape out the window. Minutiae: Posted April 18, 2010. 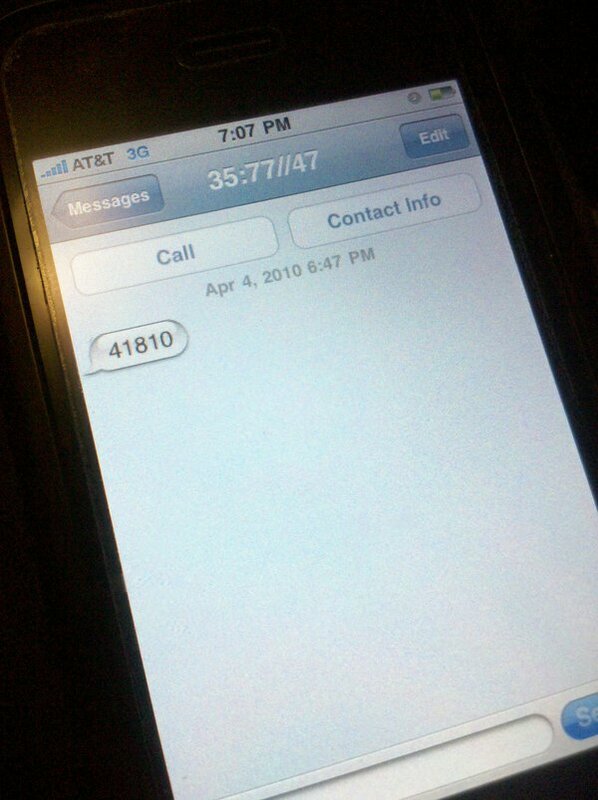 The timestamp of the video says that it was taken on April 4, 2010, the Operator appearing at 4:04 PM. The tape’s label reads “WATCH THIS.” in handwriting different from that shown in totheark’s videos, but it contains other footage reminiscent of totheark such as someone wearing a skull mask, night-vision footage of Alex in an alleyway, and “HELP” next to an Operator symbol on a red background at the end. Jay states his uncertainty about when he will return to documenting these events on his channel even though his next move will be to follow the return address; indeed, it will be seven months until the internet hears from him again. The Marble Hornets series was created by the group that would become known as THAC –which, since its dissolution, has rebranded as FWAN. 1. It took four years for any player to solve this code. “Marble Hornets: Explained” by Night Mind posits that the message refers to an event where Alex hid footage from before he was shown bleeding by taping over it. 3. One of J’s very few other posts on SomethingAwful.